1. Can I apply to the MJ programme if I have not studied journalism before, or if I do not have a journalism background? Yes, definitely. The MJ programme is designed to give you the tools and training required to work in a news organisation regardless of what you have studied before, or what experience you might have. We encourage students with varied backgrounds to apply. Typically our student body includes law, economics and finance graduates, as well as those who have studied languages, and a variety of other subjects. Many of our students have had working experience in different professions. We also encourage those with journalism experience who might wish to upgrade their skills to apply. You will find our Admissions requirements here. 2. I have been working for some years after graduation. Do I still need to submit my transcripts? Yes, you will need to supply your transcripts as well as all the other material specified on the Admissions page. 3. Where should I send my supporting documents (e.g. TOEFL or IELTS result, academic transcripts, etc.) to? You should mark the programme name, your name and online application reference number on the envelopes. 4. When is the latest submission date for supporting documents, e.g. TOEFL/IELTS result? You should try and submit as soon as possible. For example, if you have just sat the TOEFL/IELTS test but the results have not yet been released, please indicate this clearly in the ‘English Language Requirement’ field of the online application form and request the result be sent directly to the University once available. Generally speaking, you will only receive a conditional offer of admission after all your supporting documents are submitted. 5. Is there any specific GPA requirement? There is no minimum GPA requirement but successful applicants usually have a solid academic record. 6. Do I need to submit reference letters? If so, can these be written in any language? It is not an absolute requirement to submit reference letters, but references do help us consider each applicant more closely and in some cases applications benefit significantly from such supporting documents. It is advisable to have reference letters in English. 7. Do I need to submit proof of my family’s financial situation? Not unless you are being considered for a scholarship. 8. What is the purpose of the written test and interview? The written test and interview help us determine a candidate’s knowledge of English usage, grammar, critical thinking skills and aptitude for journalism. 9. How can I pay the application fee? Is it possible for me to pay online by credit card? Application fees must be paid online using Visa or Mastercard. 10. How can I apply for a scholarship? What are the selection criteria? Details of scholarships can be found on the Scholarships page. In general, only candidates who have been accepted for admission are eligible to apply for scholarships. 11. Is it possible to apply by post? No. Applications must be made online at http://www.als.hku.hk/admission/tpg. It is suggested you have your supporting documents reach the University by the deadline of 31 January 2019. 12. Is the JMSC’s Master of Journalism programme recognised by employers? What are the employment prospects like for MJ graduates? Yes, top employers recognise the quality and standard of our MJ degree and graduates. Our graduates are have been recruited by many leading news and media organisations in the region and around the world. 13. Do non-local students need to apply for a visa to study in Hong Kong? Yes. The Hong Kong Immigration Department issues student visas to applicants enrolling in full-time courses at the University. Details of the visa application procedure are available from HKU’s Centre of Development and Resources (CEDARS) for international students and China Affairs Office (CAO) for mainland Chinese students. 14. What is the cost of living in Hong Kong? Hong Kong is an expensive city. Students living in on-campus postgraduate residences will require approximately US$1,000–$1,200 per month to cover food, lodging and general living expenses (excluding tuition fees). 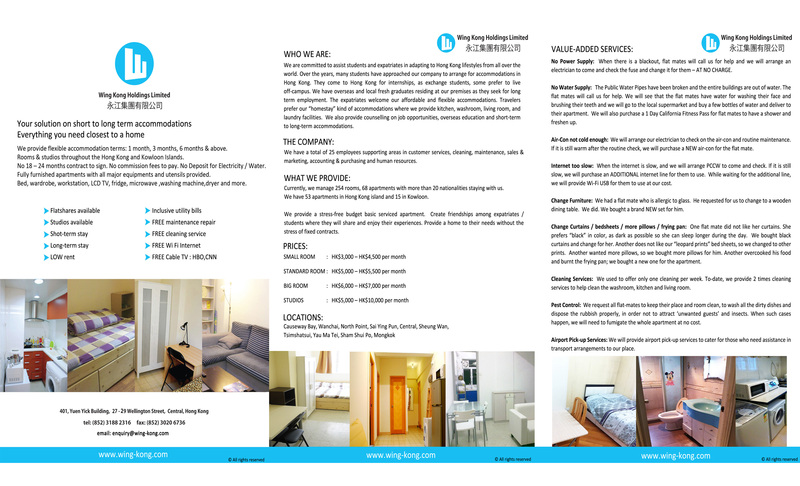 If living off-campus, students can expect to budget more as accommodation can be more expensive (single room from HK$40 per sq. ft. up, excluding utilities). See preparatory guide for non-local students. 15. Can I live in a University residence? How do I apply? 16. If I am offered admission but am unable to join can I apply for deferment of study to the following year? Unfortunately university admission policy does not allow deferment. If for some reason you cannot take up an admission offer, you will have to re-apply, although you could be exempted from the qualifying written examination and interview.